Mnarja, or l-Imnarja (pronounced lim-nar-ya) is one of the most important dates on the Maltese cultural calendar. Officially, it is a national festival dedicated to the feast of Saints Peter and St. Paul. In fact its roots can be traced back to the pagan Roman feast of Luminaria (literally, “the llumination”), when the early summer night of June 29 was illuminated by torches and bonfires. A national feast since the rule of the Knights, Mnarja is a traditional Maltese festival of food, religion and music. 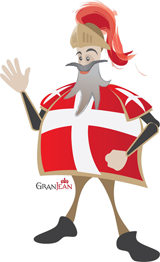 The festivities still commence today with the reading of the “bandu”, an official governmental announcement, which has been read on this day in Malta since the 16th century. Originally, Mnarja was celebrated outside St. Paul’s Grotto, in the north of Malta; however, by 1613 the focus of the festivities had shifted to the Cathedral of St. Paul, in Mdina, and featured torchlight processions, the firing of 100 petards, horseraces, and races for men, boys and slaves. Modern Mnarja festivals take place in and around the woodlands of Buskett, just outside the town of Rabat. It is said that under the Knights, this was the one day in the year when the Maltese were allowed to hunt and eat wild rabbit, which was otherwise reserved for the hunting pleasures of the Knights. The close connection between Mnarja and rabbit stew (Maltese: “fenkata”) remains strong today. 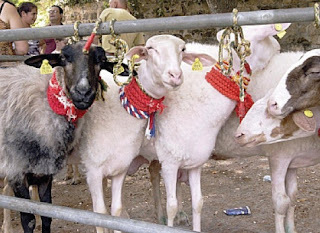 In 1854 British governor William Reid launched an agricultural show at Buskett which is still being held today. The farmers’ exhibition is still a seminal part of the Mnarja festivities today. Mnarja today is one of the few occasions when participants may hear traditional Maltese folklore songs “ghana “. Traditionally, grooms would promise to take their newly- or recently-wed brides to Mnarja during the first of year of marriage and, for luck, many of the brides would attend in their full wedding gown and veil, although this custom has long since disappeared from the Islands. The night of June 29 is characterised by general merry-making and its sociable atmosphere, with people bringing along instruments and making music. Local folk and ethnic-inspired bands usually turn up to play and set the scene. Families have BBQs and picnics and kids romp around. Traditionally, people take rabbit (Fenek) stew to eat. It’s a Maltese national dish and there’s even a Maltese word for ‘going out to eat rabbit’ – Fenkata! Some families and groups of friends make a complete summer night of L’Imnarja and camp out. 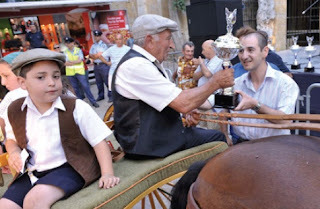 The following day sees more organised rural pursuits: there is an agricultural show, which gets larger each year (seems to be a trend in Malta recently) as well as traditional bare-back horse and donkey races on Saqqajja Hill below Mdina. We recommend that you use our private chauffer service as parking at Buskett may be chaotic. For booking please visit our Transport desk in the Grand Hotel Excelsior lobby. Should you wish to stay updated about Things to do in Malta during your holidays check out the website of the Grand Hotel Excelsior Malta. This entry was posted in Malta Events, Things to do in Malta on June 20, 2012 by admin. Valletta can be described as a living experience of Baroque architecture, dotted with quaint cafes, and over 25 churches, testament to the centuries-old grained Catholic faith of the Maltese nation. With its fortifications and history-filled streets, is probably the best known place in Malta and gems such as St. John’s Co-Cathedral justify its reputation. Malta’s majestic Grand Harbour is one of the most spectacular ports in the world separating the capital city of Valletta from the historic cities of Vittoriosa, Senglea and Cospicua. The harbour has been a hive of activity for over two thousand years. With its imposing fortifications and vast panorama, Grand Harbour is Malta’s principal maritime gateway and a popular port-of-call for ships that are cruising the Mediterranean. The Three Cities of Cospicua, Vittoriosa and Senglea are three of the oldest towns on the island of Malta. The town of Vittoriosa played an important role in the 1565 Great Siege of Malta. Vittoriosa was the town in which the Knights of Malta settled in on their arrival from Rhodes in 1530. 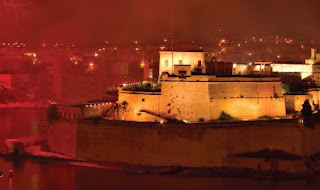 Vittoriosa together with Cospicua and Senglea form three important walled cities along one side of the Grand Harbour. The town of Kalkara is located close to the Three cities. The town gets its name from the latin word calce (lime) since a lime kiln was located here during the Roman times. In Kalkara one finds the quaint hamlet of Santu Rokku and Fort Ricasoli which over the years has been used for the construction of film sets for important blockbusters like Gladiator and Troy and the recent Agora. For information on Things to do in Malta during your holiday speak to the Transport Desk at the Grand Hotel Excelsior Malta and they will guide you with some of our popular Malta Excursions. This entry was posted in Grand Harbour, Mediterranean, Things to do in Malta, Valletta on June 19, 2012 by admin.